The last decade has seen a steady increase in total incidents, with 40% more calls in 2017 than 2007. This trend presents challenges to our department, namely ensuring rapid response, an adequate number of responders, and in-service apparatus. 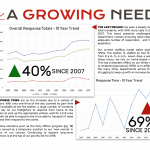 Our current staffing model dates back to the 1990s. The station is staffed by two firefighters from 8 a.m. to 4 p.m., seven days a week. After those hours, we rely on home-based response. This has a dramatic effect on our timely response to incidents (see below). 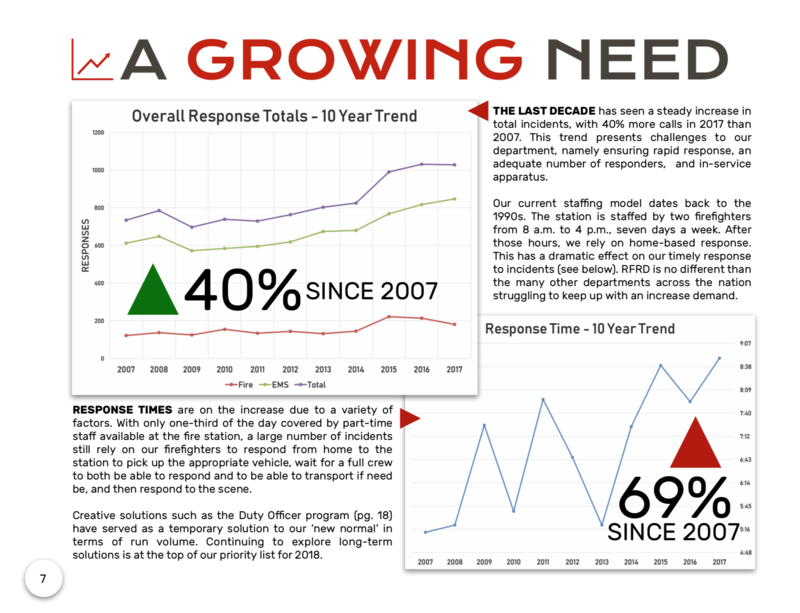 RFRD is no different than the many other departments across the nation struggling to keep up with an increase demand. ← Firefighter of the Year, Service Awards, Resignations, etc.